Looking for a high quality cocktail experience with a vintage twist for your wedding? Hi James, tell us a little about yourself - what inspired you to come to Ibiza and what are your different businesses/projects on the island? Having worked in London for 15 years managing and owning very busy bars and restaurants I felt it was time for a better life for my family and I. 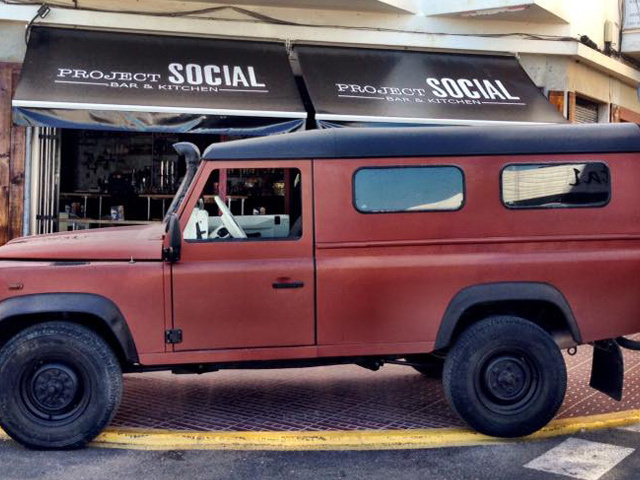 Boutique Bartending started in 2015 and then in 2016 we launched Project Social a bar and restaurant in Santa Eulalia open all year round which works as a physical space for clients to try our drinks and food offerings as well as see what we are all about and what they can expect at their wedding. 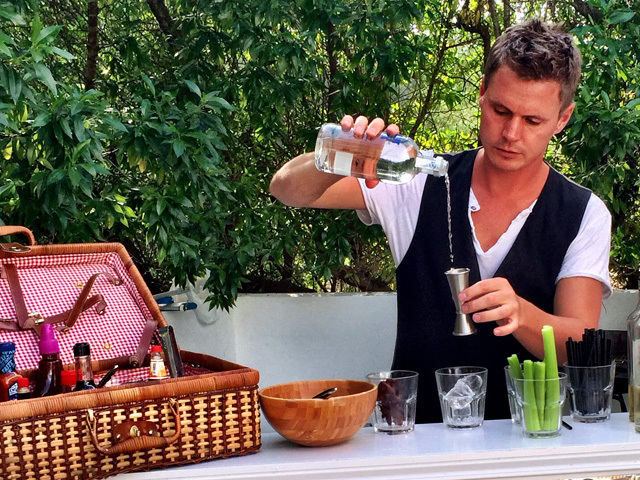 What’s the concept behind Boutique Bartending Ibiza? What are the different options? We are all about bringing a cocktail experience to a wedding with a vintage twist, our drinks are plays on classic cocktails using local ingredients where possible. Our mobile bars have a vintage look and we use lots of props to create the look. We also have a Land Rover defender which we have converted to use as part of our bar set up where space allows. Think brushed copper and bright copper details with lots of vintage props, suitcases, and large letters. 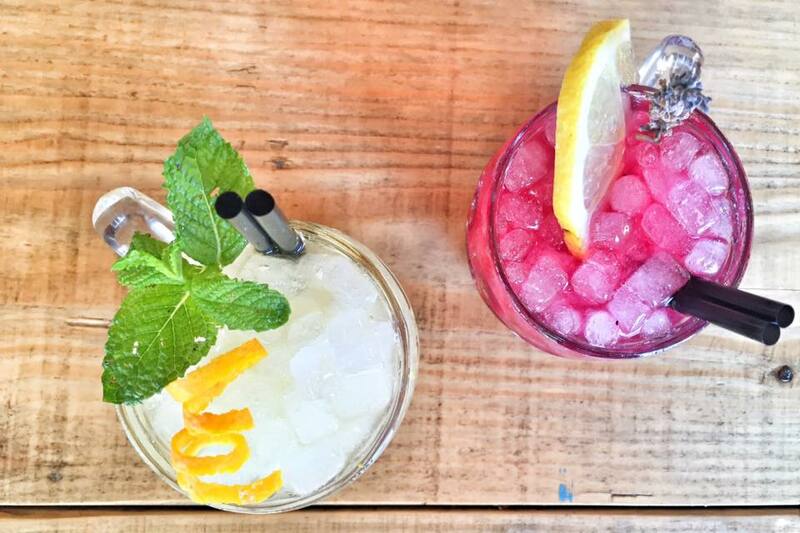 Tell us a bit about the team behind Boutique Bartending Ibiza? We are a team of three, Rodrigo and myself run the drinks and bars, and Kate is in charge of the food. We all worked together in London for many years running cocktails bars, restaurants and late night bars having won quite a few awards including Time Out’s Best Bar. "Having won quite a few awards including Time Out's Best Bar"
What makes the Boutique Bartending so attractive for weddings? We have hosted literally 1000’s of parties over the years, this is what we do, what we are passionate about. We understand the importance of people’s big day and pride ourselves on working with the wedding couple and the other service providers on the day to ensure that all goes to plan and everyone has a great day. This year you will be launching the food side for events, what is this about and what can we expect food wise? James Taylor joins us this year to launch our event food menus, we have three menus to start with Street Food, Festival and Manor House. All are based around a BBQ and have canapés and drinks options. Expect gourmet burgers, corn fed chicken wings, succulent slow cooked ribs, through to butchers cut steaks, local lamb cutlets, and much more. Do you have any special events coming up this year your excited about? We really enjoyed showcasing at the Ibiza Bridal Week recently, you can see our Land Rover in action at Ibiza’s first swing festival in April, and hopefully we shall see you at a wedding or villa party in 2018.